I LOVE a good planner. While the hubs and I have a shared Google calendar, I still love writing down those important dates in a planner. I broke a five year tradition of a Lilly Pulitzer planner and went with Kate Spade for 2015. The Kate Spade planner had the one thing I love – a month view followed by week to week view – but minus the additional 12 months upfront that the Lilly offered. One less bonus? No stickers with the Kate. I’m 33. I can make it without the stickers! Given my obsession with planners, here are some options if you are in the market for a new calendar! 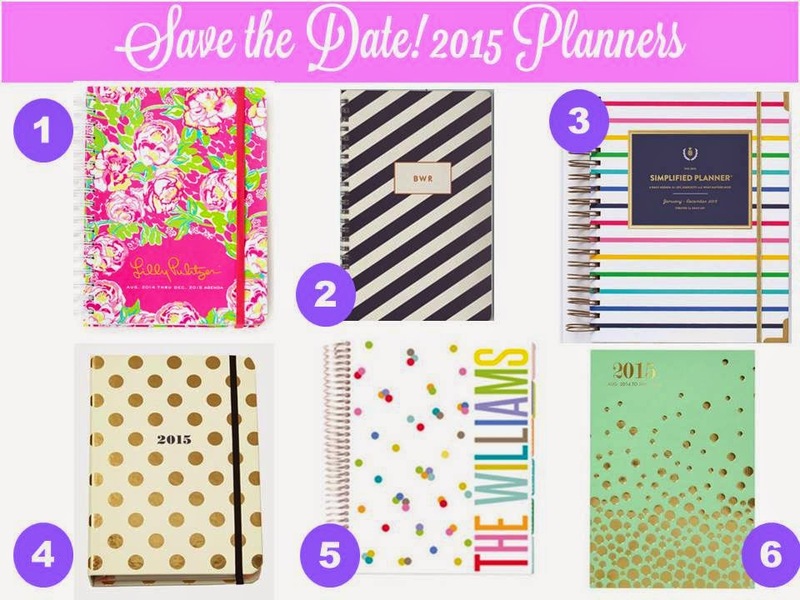 Note that most of the 2015 planners start with August 2014 – hence why it’s planner season!